IBM Digital Data Exchange application provides a single interface that streamlines the setup and deployment of page tags. IBM Digital Exchange allows marketers to gain an easy way to take advantage of IBM and third-party solutions through simpler collection and distribution of real-time behavioral digital data. They make it possible to deploy, manage, and interconnect all digital activities with minimal support from IT or web development teams. SaleCycle has partnered with IBM, a market leader, to ensure clients who use IBM can gain a quick and smooth implementation process. 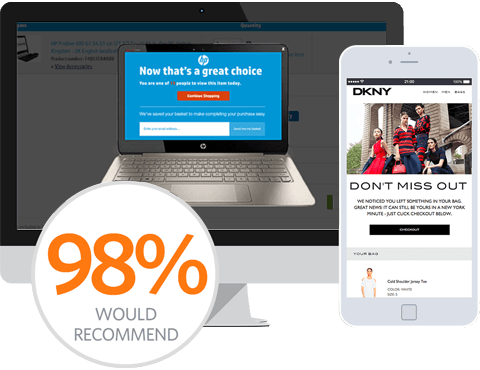 With our knowledge and expertise, we can leverage clients data through the IBM platform to enhance SaleCycle campaigns and drive ROI for your remarketing efforts. "Lighten up" your web pages from the overpowering load. Maintain, analyze and optimize data all from one platform.